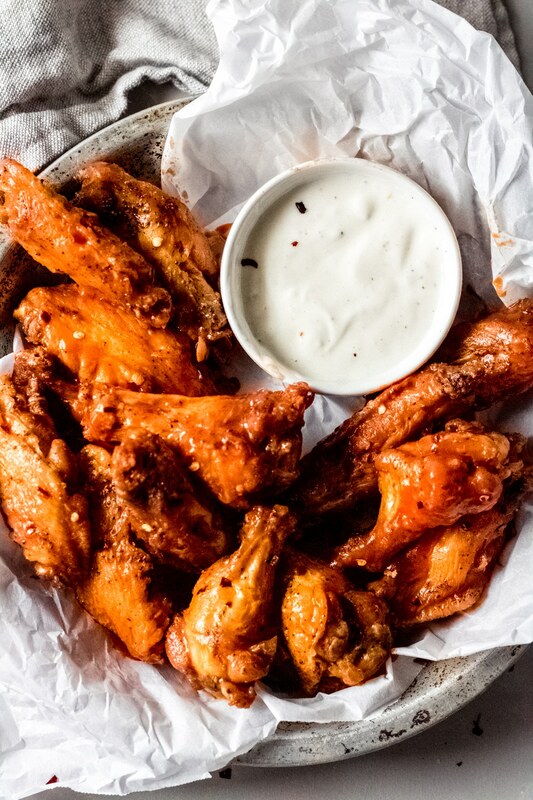 Calling all heat loving chicken wing fans – this hot spicy chicken wings recipe is for you! 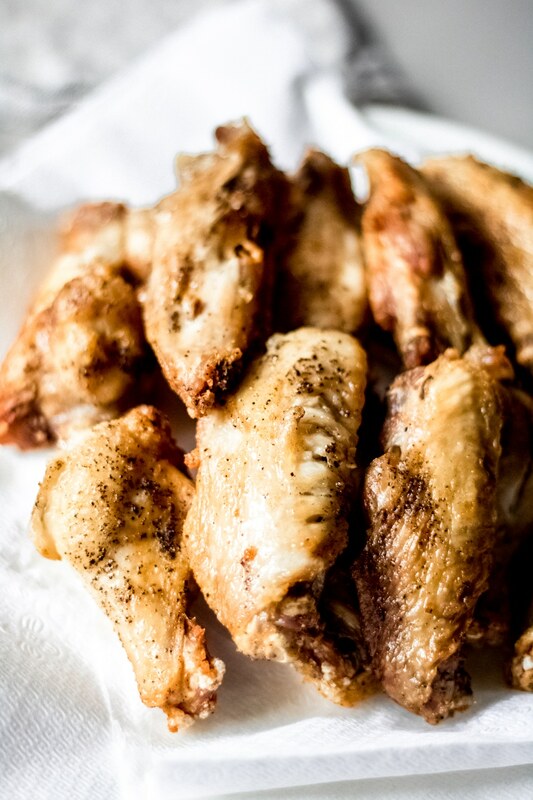 And if heat isn’t your thing, no worries, check out all of our other chicken wing recipes. We’ve turned up the heat with these hot spicy chicken wings. Plus, they’re gluten-free, too! Do you like your wings mild, a little hot, or burn your face off hot? For me, I prefer in the middle between mild and a little hot. I turned up the heat on these hot spicy chicken wings – but don’t worry, they’re not TOO hot. Of course, if they’re not hot enough for you, you can always add in your own extra spicy ingredient or kick up the red pepper flakes a notch. Are these hot spicy chicken wings oil fried? 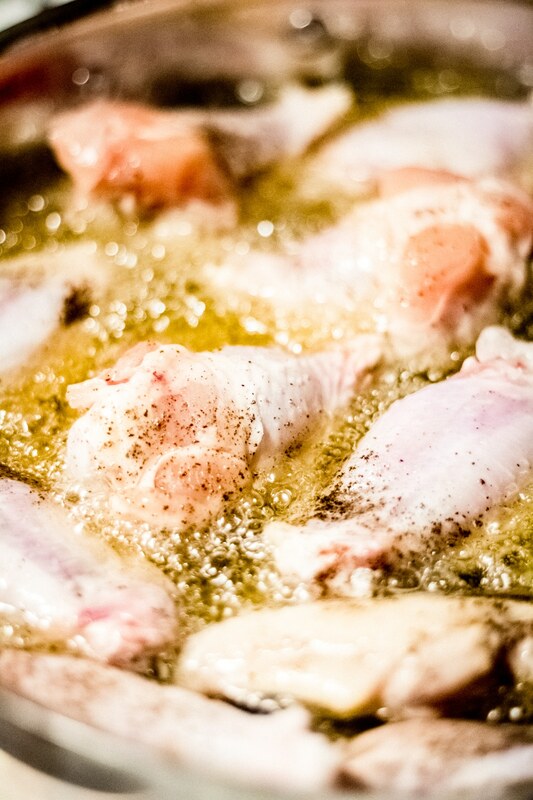 Yes, this particular recipe does include oil frying the wings. 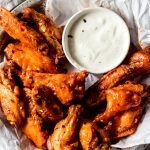 If you’re opposed to oil frying, you can definitely use the air fryer and get the same results. 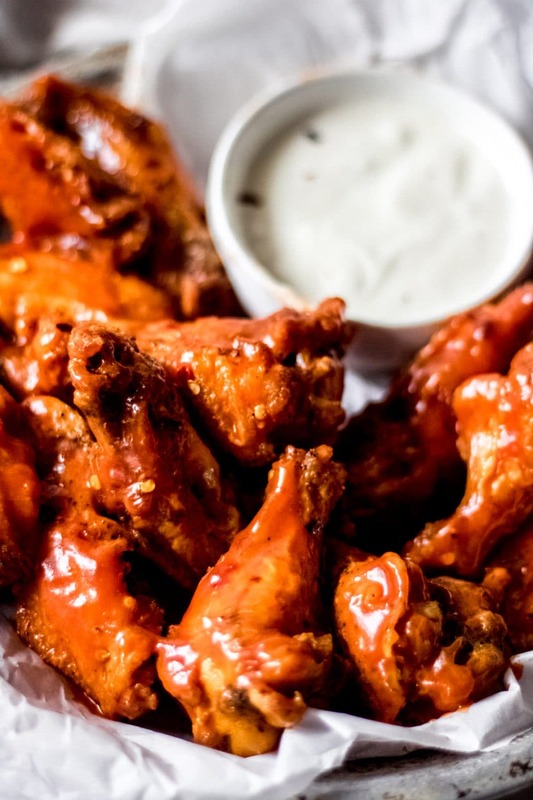 Are hot spicy chicken wings gluten-free? Yes, these wings are gluten-free. There is no breading involved and the wing sauce contains no gluten. Can you fry frozen chicken wings? No, you should never fry frozen chicken wings. This will cause a dangerous reaction with the hot oil. 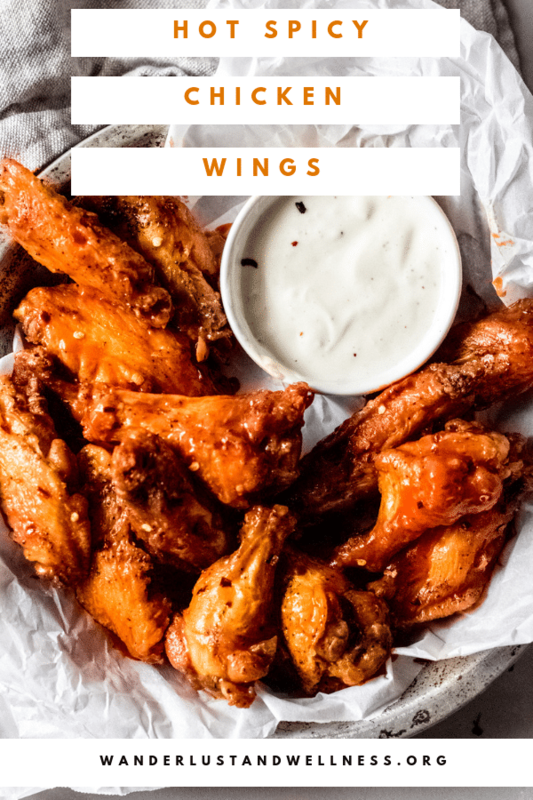 I suggest using fresh, not frozen, wings, or allow any frozen wings to completely thaw and then pat any excess water off with a paper towel. How do you defrost chicken wings? To defrost chicken wings, place them into a resealable bag and then place the bag into a large bowl. Fill the bowl with cold water and let the wings slowly defrost. 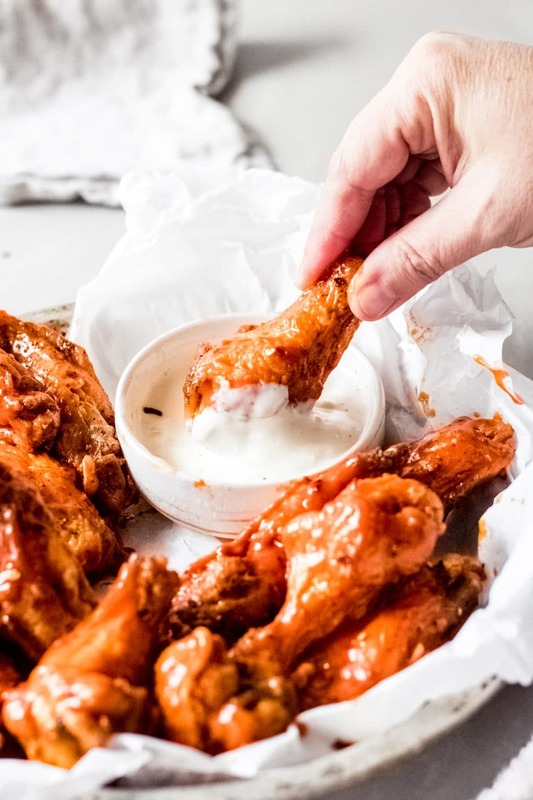 If you have a microwave with adjustable power levels, you could possibly defrost using a low power setting – however, you’ll want to be careful not to cook the wings during the defrost process. Enjoy these other hot spicy recipes!